The Fabric Mill can make all different types of swags, including but not limited to Queen Anne Swags, Pole Mounted Swags, Bustle Swags, Turban Swags, & Boxed Swags. We can create a variety of Swag and Cascade arrangement styles. For example: oversized and normal sized swags, banding/trim, knots on swags, asymmetrical, gathered ruffles, contrast layering, and rosettes. At The Fabric Mill all swags must be lined. Swags are best framed by Jabots/Pelmets that are shirred, stacked, traditional or double cascade. Draperies define and finish a room whether the panels frame the window or open and close for sunlight and privacy. The Fabric Mill can make any style, any pleat, and they also have an incredible selection of drapery hardware, tassel tie-backs, and a wide assortment of embellishments to give that custom designed look. 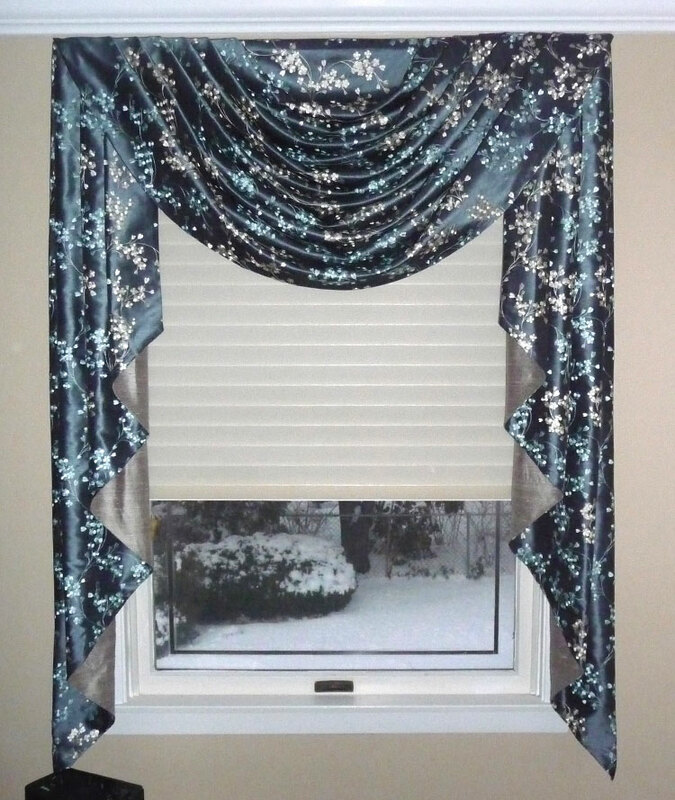 Our designers will help you choose the fabric, the style, and we also provide professional measuring and installation. Enjoy our gallery of possibilities. Draperies define and finish a room whether the panels frame the window or open and close for sunlight and privacy. The Fabric Mill can make any style, any pleat, and they also have an incredible selection of drapery hardware, tassel tie-backs, and a wide assortment of embellishments to give that custom designed look.